it’s okay to dream right? Adoring this Proenza Schouler Keep All bag in crocodile skin! 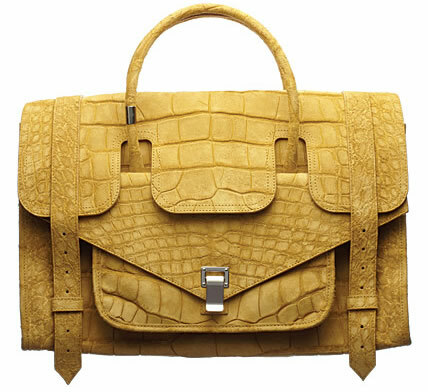 The yellow colour and the crocodile texture is to die for! Cost approximately $10,000 USD. my room is still a mess.